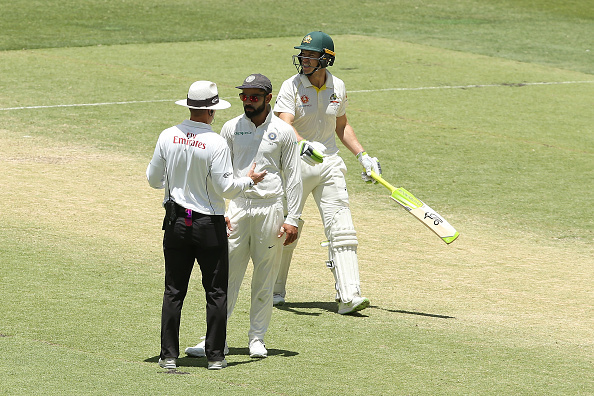 ﻿ AUS v IND 2018-19: Virat Kohli and Tim Paine describe Perth exchanges as "competitive banter"
AUS v IND 2018-19: Virat Kohli and Tim Paine describe Perth exchanges as "competitive banter"
Virat Kohli and Tim Paine were involved in sladging throughout the Perth Test. 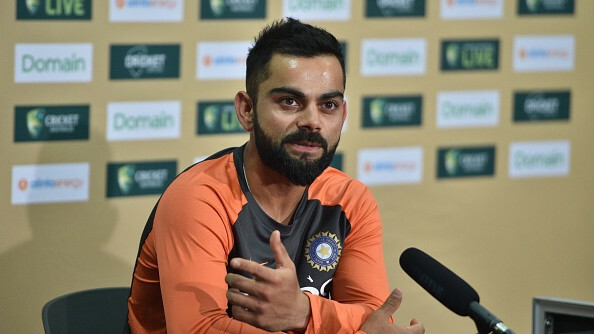 Indian captain Virat Kohli has described his heated exchanges with Australia skipper Tim Paine as "competitive banter" after tourists’ 146-run loss in the Perth Test on Tuesday (December 18). While Paine has insisted that he was not worried about Indian skipper’s on-field behavior throughout the Perth Test, saying his sparring with Kohli, who is one of the most animated players in world cricket at the moment, did not get out of hand in the second Test. 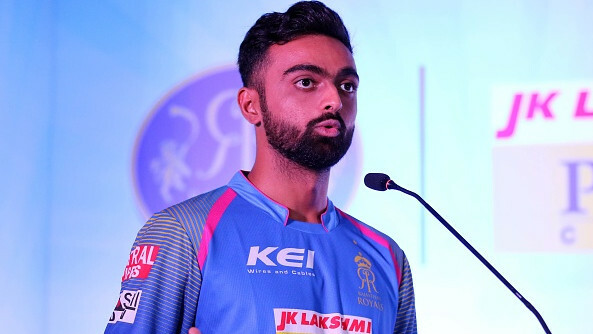 The Australian skipper also said that he loves some banter with Kohli and his passion for Test cricket, while the 30-year-old claimed that heated exchanges in Perth were in competitive spirit. Kohli further went on to insist that the attention should not be paid to anything as that on-field verbal blow was not personal and the line didn't get crossed in Perth. "I think he brings out the competitive spirit in a lot of people"
However, it was the first victory for Australia in Test cricket since the ball-tampering scandal in South Africa but it was the exchanges between Kohli and Paine grabbed a lot of attention in Perth.